Sam Smith first hit the charts as the featured singer on the 2012 Disclosure song “Latch”, and he released his first single, “Lay Me Down”, soon after. Smith‘s next hit was on a featured role by Naughty Boy‘s Bollywood-inspired “La La La.” With Smith‘s vocals the song became an instant No.1 single in the UK in 2013. He then released his first EP, Nirvana. 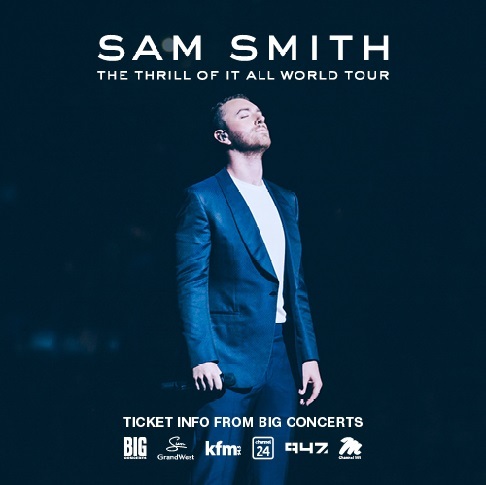 In 2014, Smith released In The Lonely Hour, his heartfelt debut full length album, which has sold 13 million copies globally. The album included the smash hit “Stay With Me” a radio staple over the course of the entire year. Smith was nominated for six Grammy‘s which he won four, including Song of the Year and Record of the Year. At the 2015 Brit Awards, he won the awards for British Breakthrough Act and Global Success. At the 2015 Billboard Music Awards, Smith received three Billboards: Top Male Artist, Top New Artist and Top Radio Songs Artist. His musical achievements have also led him to be mentioned twice in the Guinness World Records. Hit song “Writing‘s on the Wall” co-written with Jimmy Napes for the James Bond (007) film Spectre (2015), won Smith the Golden Globe Award and the Academy Award for Best Original Song. ‘The Thrill of It All‘, which has already sold 4 million copies, sees Sam once again working alongside close friend and long term collaborator Jimmy Napes as well as the likes of Timbaland, Malay, Jason ‘Poo Bear‘ Boyd and Stargate. The album also sees Sam collaborate with unsigned artist, YEBBA for their breath-taking track ‘No Peace‘.